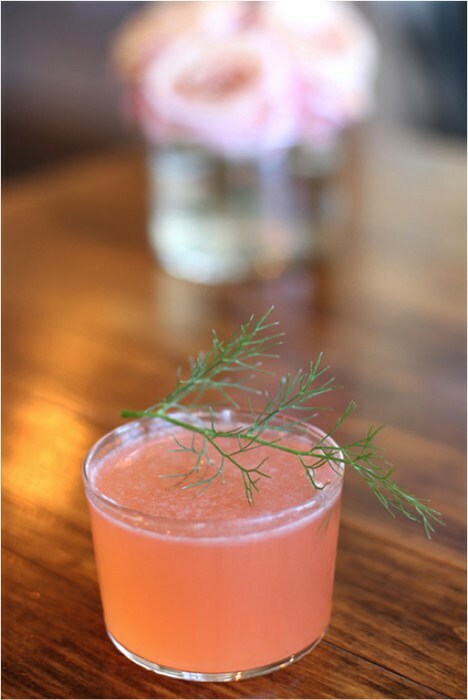 Fennel & Raspberry Sour (fennel vodka, fresh raspberry, lemon, lime, simple syrup and dill) is one of the new spring cocktails at S.Y. Kitchen. Photo by Elisabetta Antonacci. S.Y. Kitchen Mixologist Alberto Battaglini takes his spring cocktail inspiration from local market produce, herbs and botanicals. He’s created three new seasonal cocktails to delight your senses. The Fennel & Raspberry Sour—made with fennel vodka, fresh raspberry, lemon, lime, simple syrup and dill—has a nice balance of sweet and herbal flavors, as does the Pineapple & Basil Mojito—made with the Real Mccoy three year Private Barrel Rum, pineapple, basil, lime and sugar. 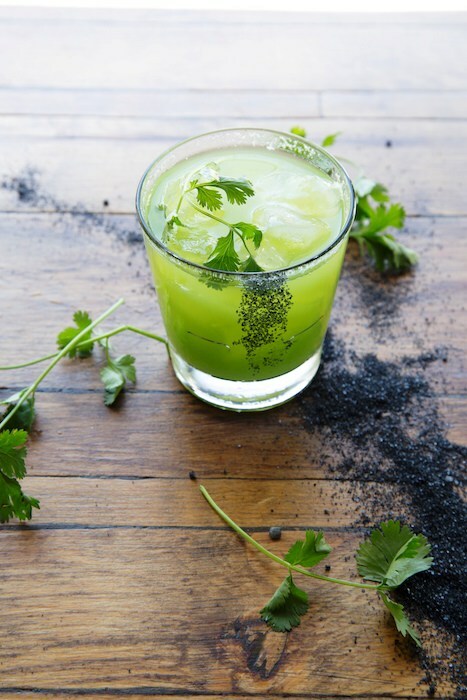 Mescal is one of the hottest ingredients in cocktails right now, and Battaglini combines it with tequila, basil, jalapeño, cucumber and salt to create La Gritona, a handcrafted blend designed to pair perfectly with S.Y. Kitchen Executive Chef Luca Crestanelli‘s seasonally driven Italian cuisine. Pineapple & Basil Mojito (with the Real Mccoy 3 year private barrel rum, pineapple, basil, lime and sugar) is one of the new spring cocktails at S.Y. Kitchen. Photo by Elisabetta Antonacci. A native of Verona, Battaglini dreamed of a restaurant career when he was still in elementary school. Attending Scuola Alberghiera, he learned the fundamentals of cooking and food service, and soon learned that being a chef was not for him. He did, however, start his ardent love affair with spirits, which took him to Gatwick, London where he met his mentor in mixology, Ian Slater. Battaglini then further honed his mixology passion and skills in Spain and Mexico before meeting up with his old school friend Chef Crestanelli at Bar Toscana in Brentwood. This spring, as one of the few finalists in the western division, Battaglini competes for the regional win for the United States Bartenders Guild which moves on to the national competition in June. 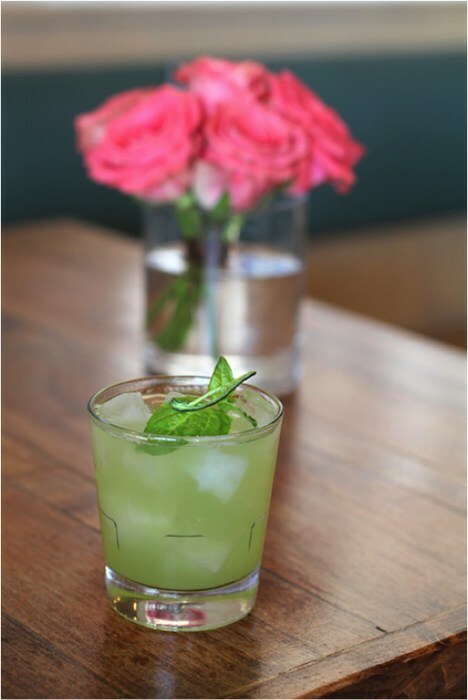 La Gritona (tequila, mescal, basil, jalapeño, cucumber and salt) is one of the new spring cocktails at S.Y. Kitchen. Photo by Elisabetta Antonacci. Check them out at S.Y. Kitchen (1110 Faraday St., Santa Ynez), and let us know what you think. Originally published in Santa Barbara Seasons on March 20, 2018. Originally published in Santa Barbara Seasons on November 10, 2017. 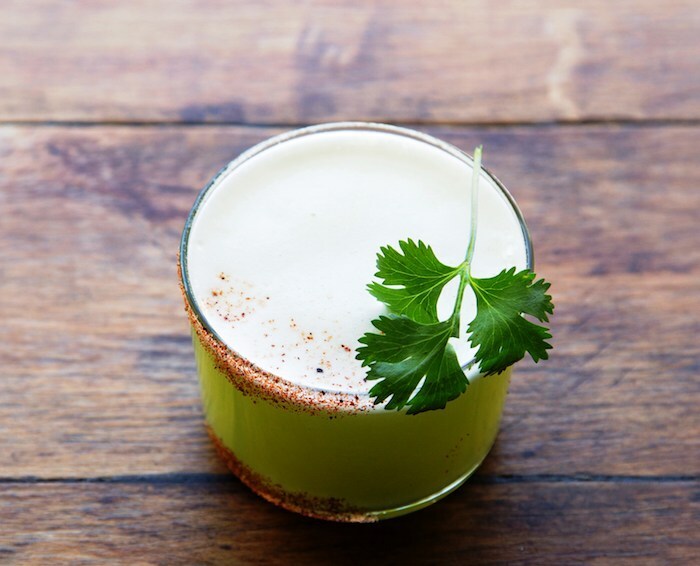 SOL y ARENA made with fresh pineapple, cilantro, smoked agave, mescal, lime, roasted pineapple bitter, chipotle powder, courtesy SY Kitchen. Photo by Elisabetta Antonacci. Inspired by our warm, spring days, S.Y. 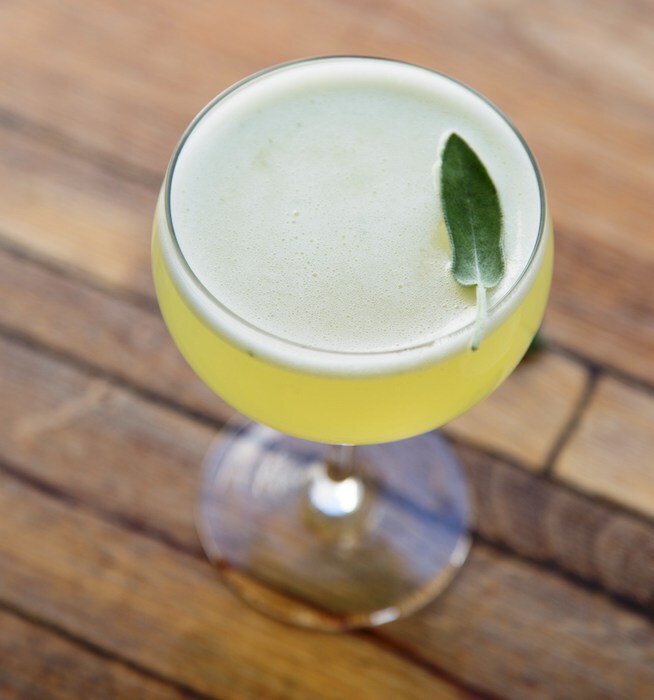 Kitchen Mixologist Alberto Battaglini has added five creative new cocktails to the menu, all inspired by local market produce, herbs and botanicals. Battaglini is the General Manager and resident Mixologist at S. Y. Kitchen where he creates his own infusions of spirits and bitters from a local bounty of fruits, vegetables and herbs. “The soul of mixology is found in all the old recipes that we twist with modern ingredients and tools, in order to play with tastes to give every customer an extraordinary experience,” he says. DOUBLE FRENCH BERRIES with cognac, blackberry, raspberry, mandarin napoleon infused with vanilla, simple syrup, courtesy SY Kitchen. Photo by Elisabetta Antonacci. VALLEY GIRL made with berries, mint, vodka, sambucus nigra, lime, vanilla sugar, courtesy SY Kitchen. Photo by Elisabetta Antonacci. S.Y. JULEP with mint, cynar, grapefruit juice, zesty attitude bitter, courtesy SY Kitchen. Photo by Elisabetta Antonacci. SELLE FRANÇAISE with cucumber, raspberry, gin, sambucus nigra, simple syrup, courtesy SY Kitchen. Photo by Elisabetta Antonacci. S.Y. Kitchen is located at 1110 Faraday St. in Santa Ynez. For further information visit www.sykitchen.com. Happy spring sipping! Click here for more cocktail corner columns. Originally published in Santa Barbara Seasons Magazine on April 29, 2016. Had enough of the pumpkin spice hoopla from your local barista? Here’s an abundance of fun fall finds from your friendly neighborhood bartenders. Alberto Battaglini, the acclaimed mixologist at S.Y. 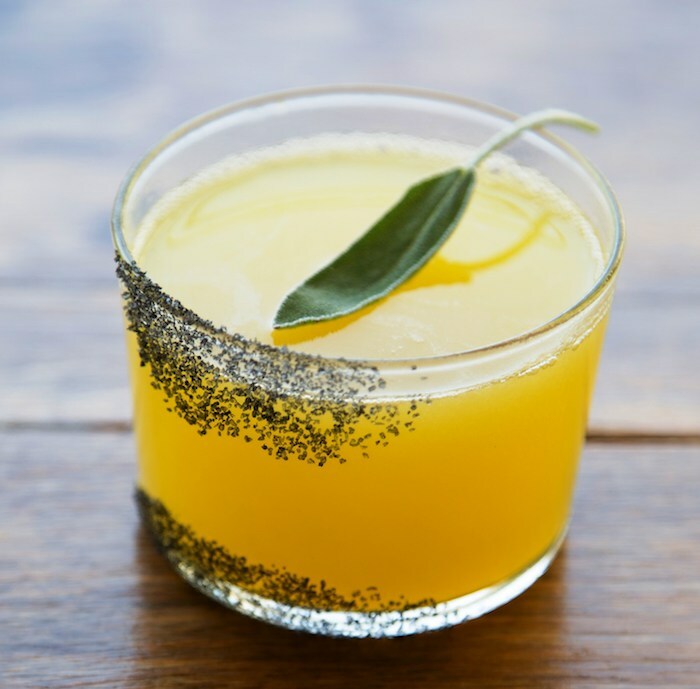 Kitchen (1110 Farday St., Santa Ynez), has new fall cocktails which he says are inspired by the Indian Summers that take place in the Santa Ynez Valley, mixing the best local seasonal produce with some of the finest spirits. First up is the Tiramisu Martini (two of my favorite words), made from Cocoa Nibs, Homemade Liquor, Vodka, Espresso, Mascarpone, Amaretto, Chocolate Powder and Anise. A lovely buzzy dessert drink! 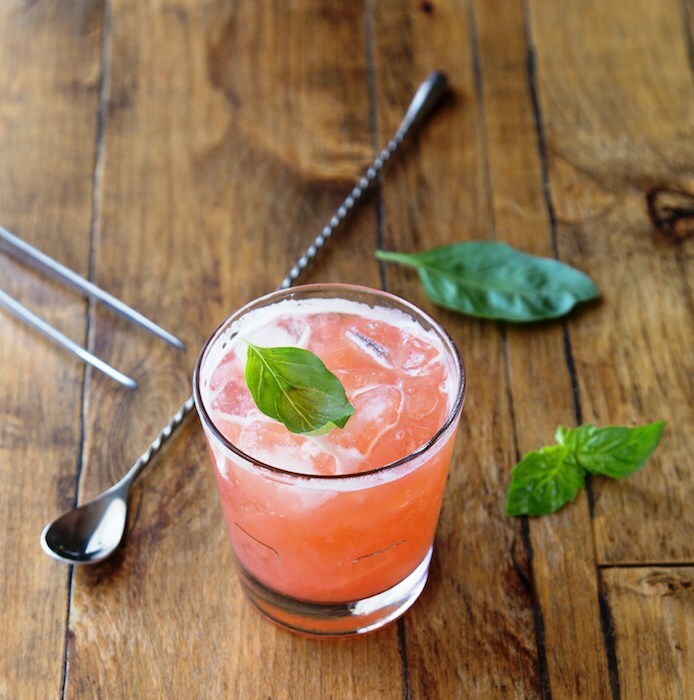 The brightly colored Pomegranate & Basil Cocktail features Fresh Pomegranate, Gin, Tequila, Lime, Basil and Simple Syrup. Also new on the S.Y. 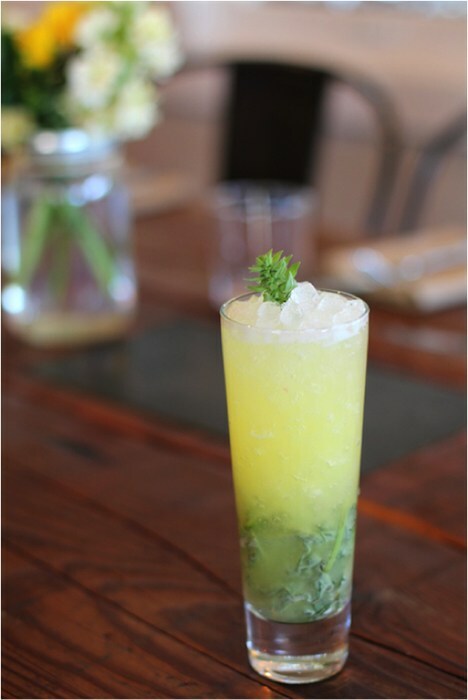 Kitchen menu is Apple & Mint, made with Fresh Apple, Mint, Absinthe Spray, Lime, Lemon and Simple Syrup. All three new fall cocktails are available through Dec. 1 and prepared with premium spirits and Alberto’s house-made tinctures. Right down the street at Finch & Fork (31 W. Carrillo St., Santa Barbara), bartender Andy Nelson has created a new fall cocktail menu featuring “drinks that evolve while you sit and sip.” The Lucy in the Sky (made with Aviation, lemon infused Dolin Blanc, orange bitters, blackberry fluid gel and pink peppercorn) has flavors of blackberry and pink peppercorn that infuse slowly, making each sip a little different. The Mission in Moab is a deconstructed classic—made with High West Double Rye, Lillet blanc, Benedictine, Angostura bitters and Campari foam—is a variation of a Boulevardier using Campari whipped foam. The whiskey and Benedictine pass through the Campari whipped foam, creating delicious depth in layers. Lucy in the Sky is one of the new fall cocktails at Finch & Fork, courtesy photo. Also new to the Finch & Fork menu for fall are the Delayed Flight (Grey Goose Vodka, Aperol, grapefruit and lime), Hot War (Russian Standard, lemon, spicy blackberry syrup and blonde ale), Four Cup (Beefeater 24, Pimms No.1, lemon and ginger beer), Habla Nada (Milagro Reposado, Del Maguey Vida Mezcal, strawberry infused oloroso sherry and Grand Marnier), Hendersonville Fizz (Boulard calvados, honey, baked apples bitters and sparkling wine), Lee’s Temptation (George Dickel, sweet vermouth and Fernet Branca), Paper Plane (Makers Mark, Aperol, Cio Ciaro Amaro and lemon), Pisco Sour (Campo De Encanto Pisco, lemon, egg white, bitters and cinnamon), and Brandy Crusta (Pierre Ferrand 1840, lemon, Luxardo Maraschino and dry curacao). 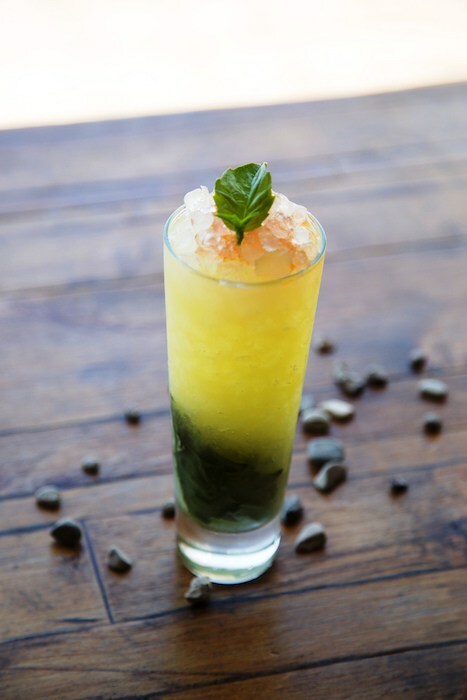 Mission In Moab is one of the new fall cocktails at Finch & Fork, courtesy photo. Last but not least, Intermezzo (819 Anacapa St., Santa Barbara) has The Hemingway, which earned thumbs up from both the editorial and art departments at Seasons this week. 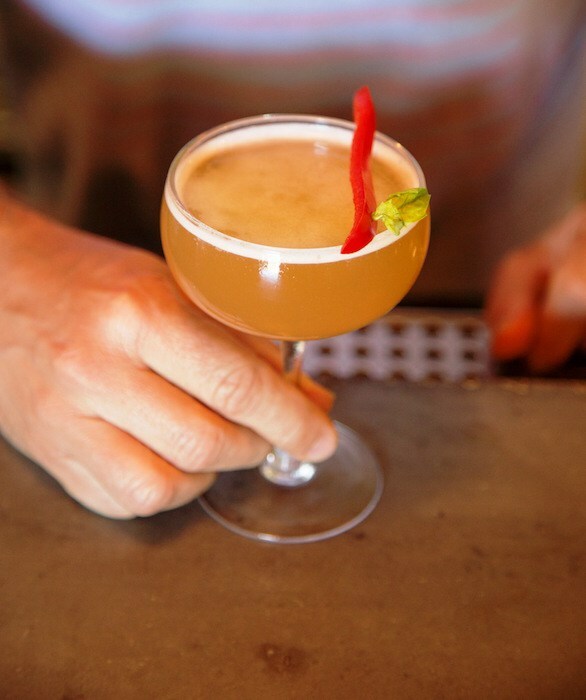 A twist on a classic Hemingway Daiquiri, made with Clemente Barrel Select, an aged Agricole rhum originally distilled in the French Caribbean islands from fresh sugar cane, rather than a made as a by-product of molasses. Originally published in Santa Barbara Seasons Magazine on October 15, 2015.